Laura Comfort’s latest release is the single – Little Wing. This version Laura Comfort has recorded with the talented international rock guitarist Matt Backer has achieved both in their quest of perfection of Hendrix’s song Little Wing, containing references of American Indian spiritual themes. Cantaloop h ave released their latest single Avalanching. The song is about things getting too overwhelming in life, especially the struggling aspect and focuses on relationships and their unfortunate endings. The music featuring the soulful and sonically beautiful vocals from Sam Rogers, is a soft jazz pop funk with a slice of trip-hop to create blissful tones, and is a sound that distinguishes Cantaloop. There are two remixes by Fun Lovin’ Criminals and London Funk DJ’s. 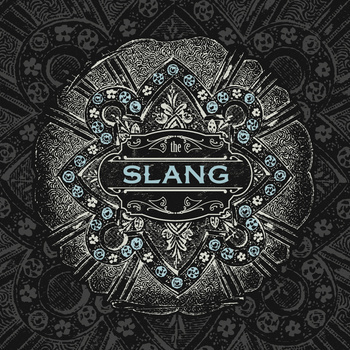 The Slang have released their debut self-titled EP, of power rock or an epic sound, with interestingly cool songs. There is a certain ’60’s picking guitar style that introduces you to Far From Over, though it soon enters that anthem energy. Whether you enjoy your job or not, it all Feels Like Work, yes listen and you’ll understand what work is really about. If you didn’t know, you’ll be enlightened in the effortless One Step At A Time. Rule The World is quite an ambiguous song that will mean different things, which is pretty cool as it lets you see things the way you see them. Those thoughts and feelings that need to be figured out in Find A Way, which has a great synth sounding lead guitar that puts the icing on the cake, on the finishing song.